Stump Creek Lodge offers a superb vista through the vineyards to the hills and is ideally placed to offer guests a memorable Marlborough experience to be remembered. Alternatively, you may wish to simply enjoy the home away from home as a place to relax. On site relaxations offered are swimming in the pool, relaxing in the spa, croquet, enjoyment of the outdoor barbecue and, if you wish, you can use our bikes to cycle around the area. Marlborough offers a wide range of activities and attractions for the discerning visitor. You may wish to sample the best of New Zealand's trout fishing, play golf on the 18 hole Fairhall Golf Course, kayak the Queen Charlotte Sounds or cruise the Marlborough Sounds for its magnificent scenery. There are also horse treks, white water rafting and glorious scenic walking tracts. Some of New Zealand's premier wineries are in the neighbourhood and no stay at Stump Creek Lodge is complete without a tour of the surrounding vineyards to taste the best our viniculture can produce. 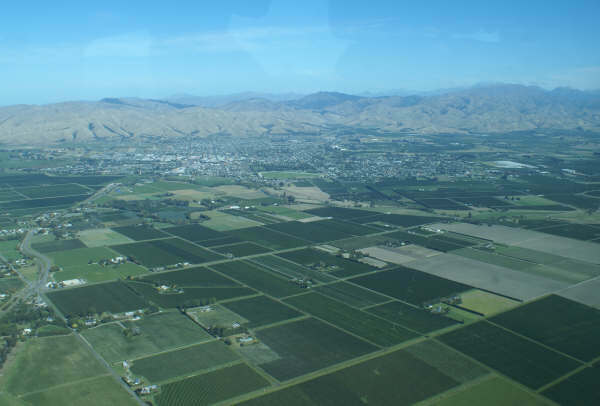 Visitors to the region often leave with bottles of wine from internationally awarded labels such as Wairau River, Hunters Winery, Cloudy Bay and Montana. Many of the wineries also have excellent restaurants with lunch menus that feature the very best of local salmon, venison and mussels to name but a few. Alternatively, you may simply like to wander down the road from Stump Creek Lodge to play tennis on the grass courts before enjoying a refreshing swim in the early evening. Stump Creek Lodge is located in the heart of New Zealand Wine Country in the beautiful area of Marlborough. Just a 8 minute drive from Blenheim and 40 minutes from Picton, the area is regularly serviced by airlines from Christchurch, Wellington and Auckland, the Cook Strait Ferry to Picton and by train from Christchurch. Right on your doorstep is the playground of the Rich & famous; and not so famous. Visitors may fish for brown trout, play golf, do white water rafting, ski or kayak, explore the vineyards, gardens and art and craft galleries or discover the stunning Able Tasman National Park. Check out Golfing in the area.